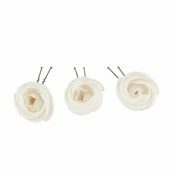 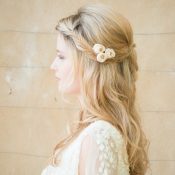 Bridal Hair Pins - the perfect detail for your wedding hair. 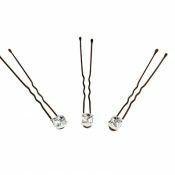 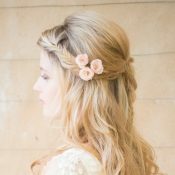 For brides who want an elegant and understated way to accessorise their wedding day hairstyle, bridal hair pins are an excellent way of scattering glamour throughout your wedding hair. 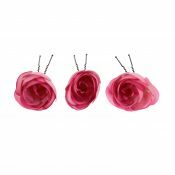 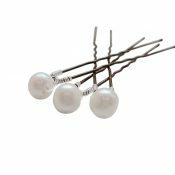 We have a beautiful range of pearl hair pins, diamante hair pins, vintage hair pins and silk flower hair pins. 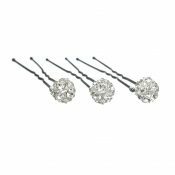 As you will see from our collection, we simply adore wedding hair pins! 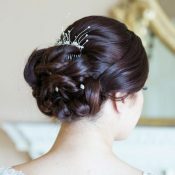 And so do our brides.